Because each tour is customized, we can only provide a guide to prices. Tours may cost more or less depending on the accommodation chosen by you, the number of people in your group and the time of year. You will stay in 3 star hotels specially selected for their superior quality and service for 9 nights – 3 nights in Killarney, 1 night in Kinsale, 2 nights in Kilkenny, 2 nights in Galway, 1 night in Ennis. You can opt to upgrade to 4 or 5 star accommodation in any or each location if you wish. Typical hotels include the Rivercourt Hotel (pictured top) in Kilkenny, situated by the river in the heart of the city overlooked by Kilkenny Castle and the Killarney Court (pictured above), where McGillacuddy’s Bar is the perfect place to relax in the evening with live traditional music sessions. 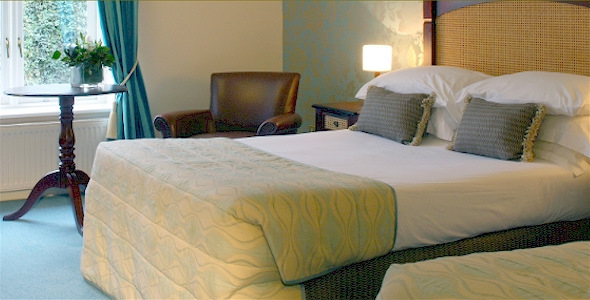 All accommodation is in rooms with private bathrooms and breakfast is included each morning. All our vehicles are recent Mercedes models, or others of equivalent standard, which are configured to maximise touring comfort and passenger space. Smaller parties will travel in a Mercedes E Class Sedan or Viano, others in Mercedes Sprinter vans or small buses. All vehicles have air conditioning. 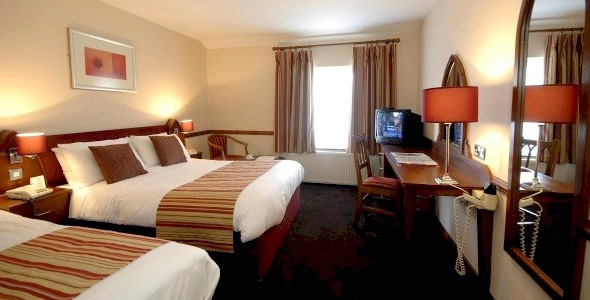 Accommodation for 9 nights in specially selected superior quality 3 and 4 star hotels.